Getting fresh fruits on the Seychelles has become much easier in recent years. Back in the days, locals mainly had fruits in their garden for their own needs and exchanged mangoes for bananas with their neighbours. Simon started a fruit shop on the road to Grand Anse and he paved the paths for many others that followed. 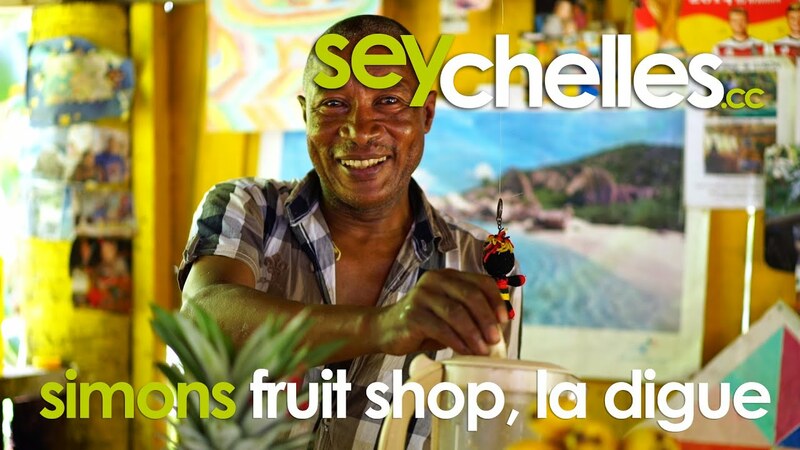 While the fruits on the Seychelles are usually not that cheap, the quality is not comparable to what you´d get for example in Europe. The fruits are sweet and extremely tasty. Furthermore, you get fruits you haven´t yet even seen before, like Soursop. Around May you´ll also find fruits on the road that have fallen from trees. They look like a mix of potatoes and mangoes and are called golden apple. They taste great but are rather hard to eat. To be sure to eat the right fruit, ask a local for help, they are usually happy to help.